Profile Response: Nate Storey, Bright Agrotech, Laramie, WY | How Will We Live Tomorrow? Nate Storey is growing food in recycled plastic in midair. He developed the idea as a Phd. agronomist at University of Wyoming and has grown the concept into a sixteen-person firm. 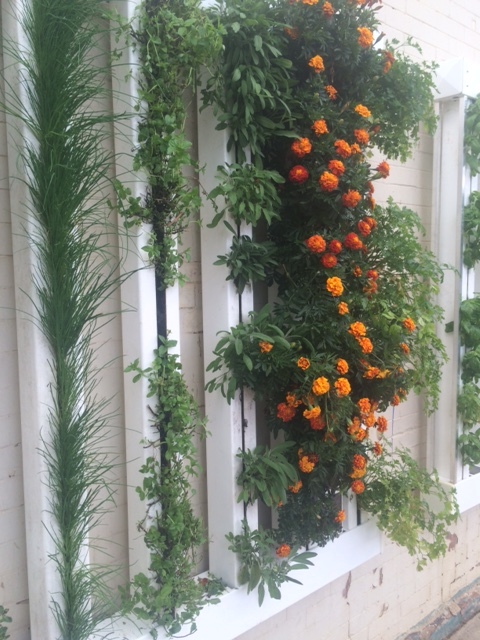 Bright Agrotech manufactures Zipgrow Towers, a system that enables food production virtually anywhere and offers unlimited landscape possibilities. Here’s how Zipgrow Towers work. Take a 4” PVC tube, four feet long, with a half-inch slot removed from the middle of one face. Fill the void with a loose arrangement of filaments (think Brillo pad mesh of recycled plastic). Set the tube, alongside others, in a horizontal top and bottom track. Run a drip hose along the top track, drizzle water down the tube to the bottom track, collect it and pump it back up in a continuous cycle. Insert the roots of seedlings into the filament with the leaves hanging beyond the slot in the tube. Let the sun shine, the water trickle down, and the plants grow. There are a few fine points, like adding nutrients to the water cycle, but the basic system is so simple only a savvy PhD. could conceive it. 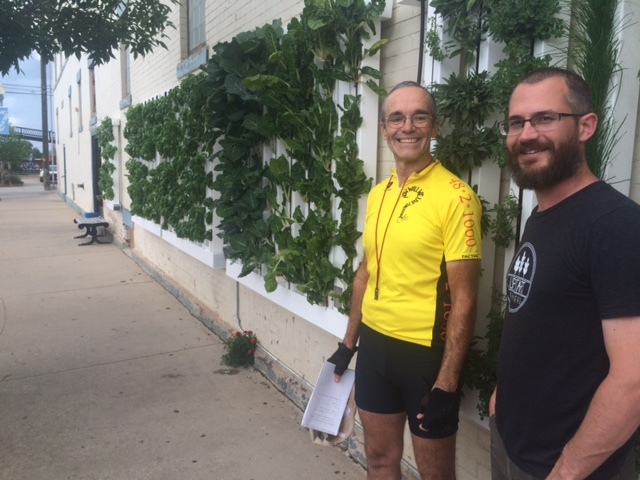 Nate and I met, and were Youtubed, outside the Altitude Chophouse, a restaurant in downtown Laramie whose south facing brick wall has been turned into a garden for basil and other greens; food so local it’s literally grown a few feet from where its consumed. 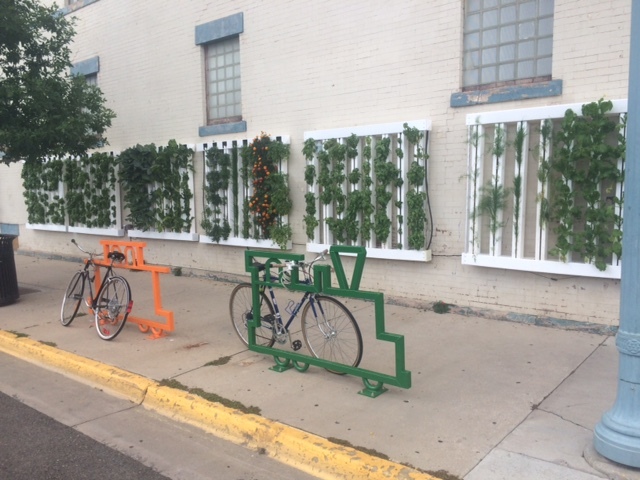 The thermal mass of the brick wall and sidewalk actually expand the growing season in chilly Laramie. The Altitude wall is a positive display of Zipgrow’s potential, but Nate envisions many other, and larger, applications. 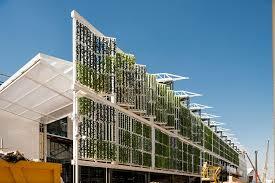 “Wheat is not economical, but herbs and greens thrive.” Zipgrow is also finding interesting niches in landscape design. The largest application to date, the feature wall of the US Pavilion at the Milan Expo 2105, integrates both applications by growing food arranged to create patterns of color and texture. 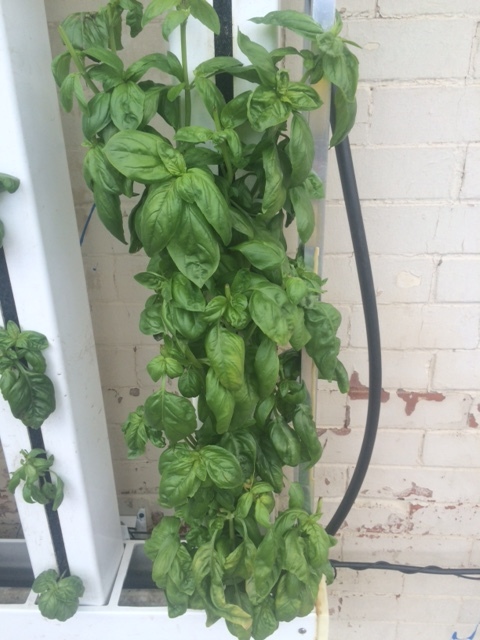 This entry was posted in Responses and tagged Altitude Chophouse, Bright Agrotech, Laramie WY, Milan Expo 2015, Nate Storey, Zipgrow Towers. Bookmark the permalink.